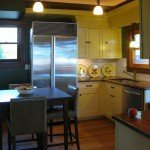 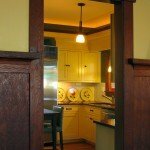 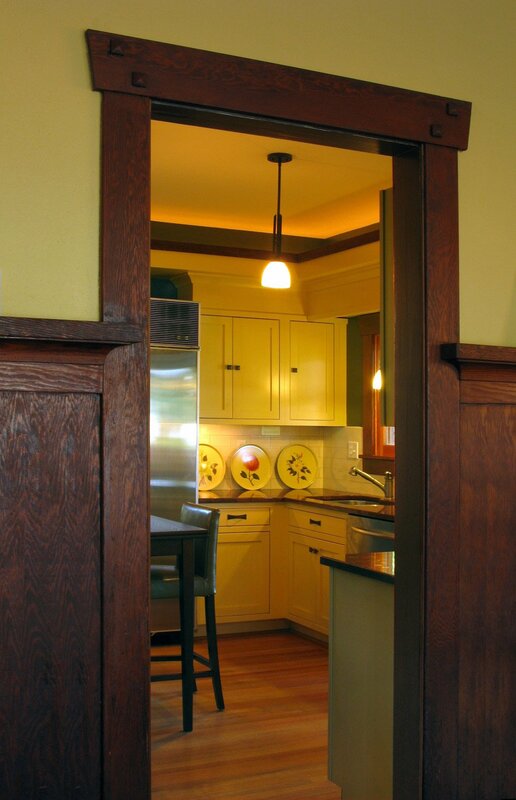 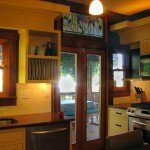 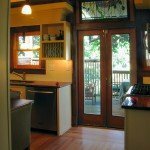 Set in a classic bungalow in the Wallingford neighborhood in Seattle WA, this project was the transformation of a small ’70s era kitchen. 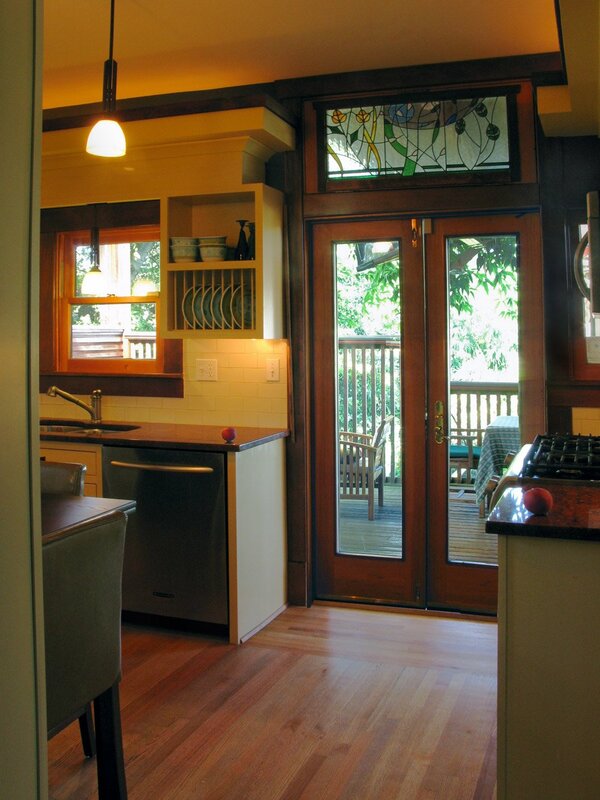 The remodel redirects traffic and connects the centrally located mudroom to the kitchen and a beautiful backyard deck (complete with commercial kitchen sink and gas range). 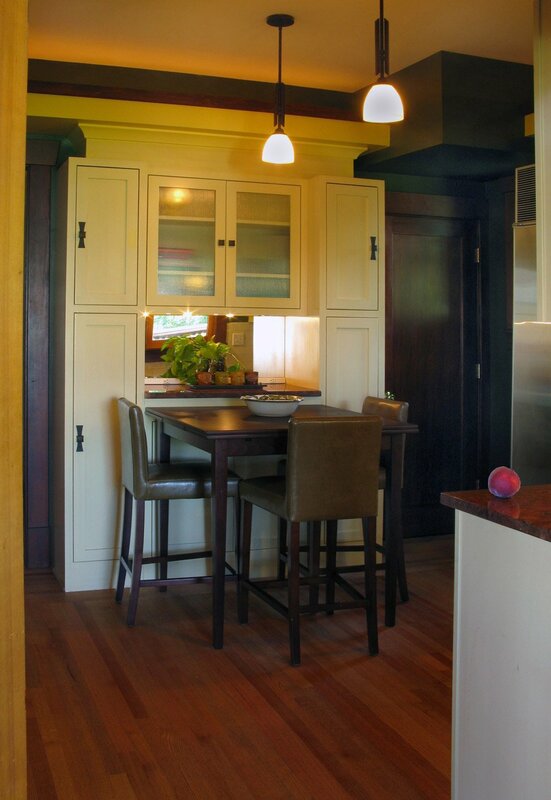 The remodel was careful to incorporate the traditional detailing found throughout the house. 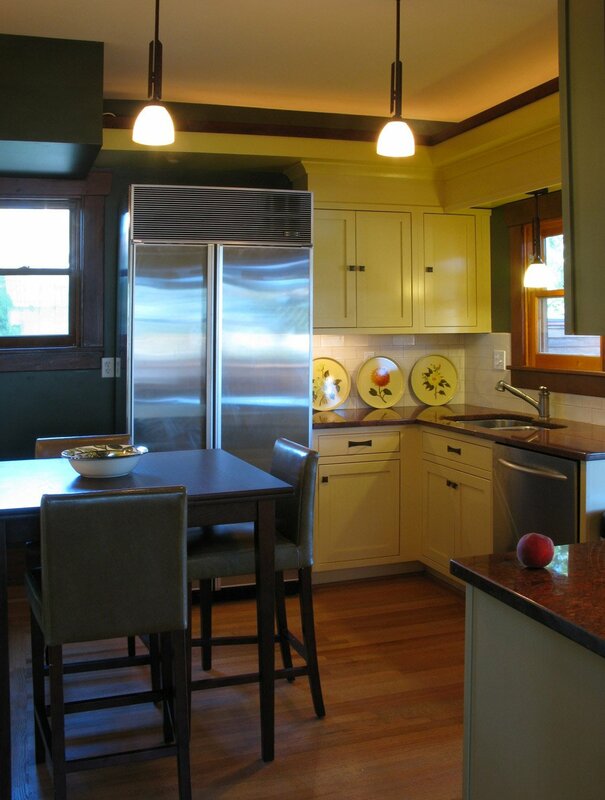 Indirect lighting warms the space with a new construction soffit and creates a larger space with added height. 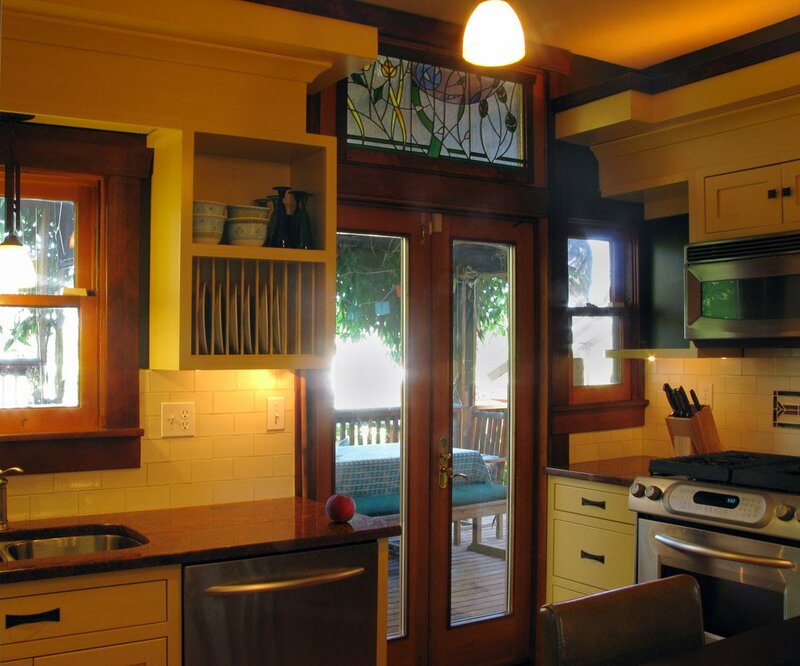 Existing appliances were brought to life with dark, classic color paint and tile. 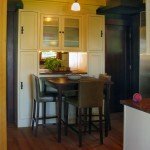 The design allows for a small eat-in table and prep area.